Changing Seasons - Changing Sheets! With the change in season speeding it's way here, have you stopped to think about your bed/table coverings? Not every one wants to start thinking about the cooler fall weather and cold winter ahead. If you think about it now you're good for at least another year, and you'll beat the rush! You may want to start bringing in, and even transitioning, your linens to some cozy flannel ones. I know it's hot and humid in most parts of the country, the last thing anyone wants is flannel. You do not want to be without it, or doing a last minute frantic scramble to make sure your clients are warm (without sending your heating bill through the roof)! Whether you need organic flannel, full sets or just a top sheet, we have you covered (I couldn't resist)! If you're in a place where the weather is comfortable all year round, when was the last time you updated your sheets or tried a new look? From microfiber to coly-potton with plenty of color options (check out the best selling Sposh line), you can get creative! Don't forget blankets, table warmers (the Samadhi-Pro is an excellent choice) and cushy warm robes for clients (like me!) who run on the colder side - having extra warmth may be the difference between you and your competition! Sheets Sheets and More Sheets! I may be alone in this, but I get excited for new sheets for my massage table. I don't know if it's just the newness or the crisp clean look of a brand new sheet. Whatever it is, I'm thankful for such a variety of materials and colors that are available. For example, check out the just added premium flannel sheet sets! With different shades of blues, green and a pretty lavender at a great price point, why not add a few new sets in! If you're not in need of full sets, our most popular (among clients and staff!) are still the Sposh Sheets. Super soft and wrinkle resistant in a variety of colors with matching accessories (even robes)! You can't go wrong! By now, most of us are familiar with the Sposh linens and how amazing they are! If you haven't tried them yet, I can tell you that you and your clients are going to fall in love with these items! The sheets are super soft and virtually wrinkle-free when you pull them from the dryer. The microfiber fabric is durable, easy to maintain, and dries more quickly then regular sheets. 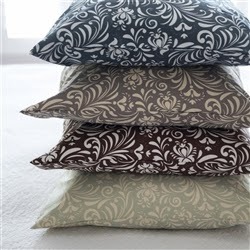 We just added the new Nouveau design sheet sets and pillow cases that are great for retailing to your client for home use, especially after they have experienced the fabric themselves during a service. Don't forget to offer them the luxurious matching Nouveau microfiber robe as well! Chelour Robes and Blankets - Super soft, plush, and lightweight! If you are using these items in your treatments rooms, your clients won't be able to leave without bringing some home for themselves! Offer your clients comfort with these new sheet sets! You've created the perfect environment for your business...from the reception area, bathrooms, decor and products you've selected. Don't fall short on your table linens! The best way to ruin the overall experience of a service is getting onto a table with uncomfortable sheets! We have so many different wonderful sheet sets for you to choose from there is no reason in the world your clients will ever be unhappy laying on the table. If you spent the majority of your budget on products and other decor, you can still get comfortable sheets at a great price! Check out the new sheet sets we just added! Don't forget you can always add comfort to your space without breaking the bank! There's always something new every week here at Pure Spa Direct, and this week is no different. Ladies and gentlemen - allow me to introduce to you - Sposh Microfiber Sheets! Although it seems you have already heard of them based on the number of orders we've been getting. We sold so many it had the shipping guys blurting out "holy sheet -- that's a lot of sheets". I bet its the softness or perhaps the microfiber-ness (is that a word?!) that makes them so popular... why? I have no idea... I'm just a shipping guy! 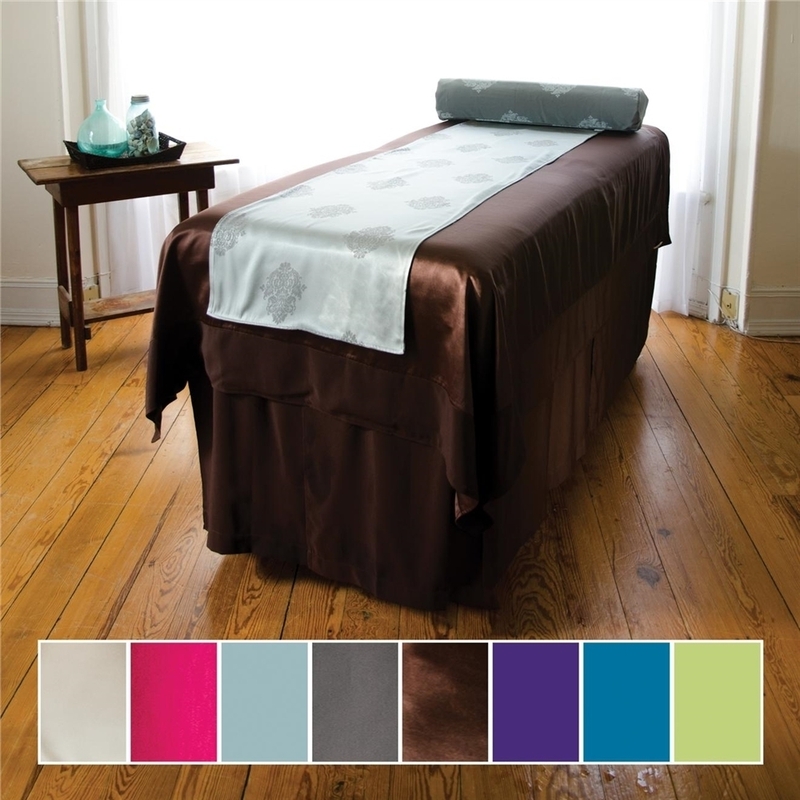 See our great Sposh Microfiber Sheet selection HERE! Need High Quality / Economical Spa Linens? Check Out Sposh - Posh Spa Linens! Need linens? Sposh Spa Linens are pre-washed, wrinkle resistant, economical, and launder beautifully every time. Retail sets are also available, elegantly packaged in a reusable embroidered tote. This peachy soft facerest is made of microfiber, a super fabric. 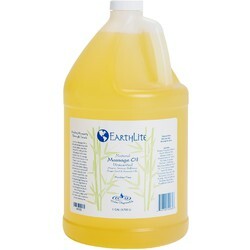 It dries in a flash, it’s easy to maintain, and it’s durable, which helps put a halt to frequent replenishment. Available in Cream, White, Coffee, Tea Leaf, Blue Agate & Moonstone. Peachy soft, these economical sheets are virtually wrinkle-free when you pull them from the dryer. In fact, microfiber is a super fabric—it dries in a flash, it’s easy to maintain, and it’s durable, which helps put a halt to frequent replenishment. 32.5"W x 73"L x 6.5" Pocket. Available in Cream, White, Coffee, Tea Leaf, Blue Agate & Moonstone. Peachy soft, these economical sheets are virtually wrinkle-free when you pull them from the dryer. In fact, microfiber is a super fabric—it dries in a flash, it’s easy to maintain, and it’s durable, which helps put a halt to frequent replenishment. 56" W x 87" L. Available in Cream, White, Coffee, Tea Leaf, Blue Agate & Moonstone. Designed to keep your clients warm and cozy, the Sposh Quilted Microfiber Blanket provides a soft, inviting look for your treatment table. Plus it’s economical and durable. Machine wash and dry. 58" X 85". Available in Cream, White, Coffee, Tea Leaf, Blue Agate & Moonstone. Rich in color and easy to maintain, the Sposh Reversible Saddle comes in a variety of colors and can be mixed and matched with Sposh Quilted Microfiber Blankets and Table Skirts to provide a unique look for your treatment table. 100% Polyester. Machine wash and dry. 19" x 73". Available in Coffee / Blue Agate, Magenta / White & Moonstone / Black. This luxuriously soft microfiber robe is easy to maintain, quick to dry, and practically wrinkle-free. Breast panels are lined for modesty. One size.. Available in Cream, Coffee, Tea Leaf, Blue Agate & Moonstone. Peachy soft, these economical sheets are virtually wrinkle-free when you pull them from the dryer. In fact, microfiber is a super fabric—it dries in a flash, it’s easy to maintain, and it’s durable, which helps put a halt to frequent replenishment. 63 1/2" W x 88" L. Cream. Rich in color and easy to maintain, the Sposh Damask Bolster Cover comes in a variety of colors and can be mixed and matched with Sposh Quilted Microfiber Blankets, Saddles, and Table Skirts to provide a unique look for your treatment table. 100% Polyester. Machine wash and dry. 6" or 8". Multiple color options. Available in Coffee / Blue Agate, Magenta / White & Moonstone / Black. Peachy soft, these economical sheets are virtually wrinkle-free when you pull them from the dryer. In fact, microfiber is a super fabric—it dries in a flash, it’s easy to maintain, and it’s durable, which helps put a halt to frequent replenishment. Available in queen and king sizes, Sposh sheet sets come with 1 fitted & 1 flat sheet, 2 pillow cases, and a cute complimentary tote!. Available in Cream, White, Coffee, Tea Leaf, Blue Agate & Moonstone.